You are here: Home » Dewachen (10) Already Setting The WF Bar Waaay Higher Than Daddy Ever Did! feeble ilg set his first Course Record with Michael Kibler in the Boulder/Longmont duathlon when ilg was 18.
the Precious daughter who s(om)ehow chose to c(om)e through – waaaaaay unexpectedly – feeble and already old conduit ilg? has set one at 10 years young! so stated a pretty dang Go(o)d quiller of words during an era that uh, yeah? happened to be NAMED after him!!! yet, that was the phrase that kept c(om)ing at ilg’s mind waves while pacing the precious Daughter that chose to c(om)e through feeble conduit ilg up Kendall Mountain. wanna intellectually know more? google Kendall Mountain Running Race. wanna REALLY know Kendall Mountain Running Race!? 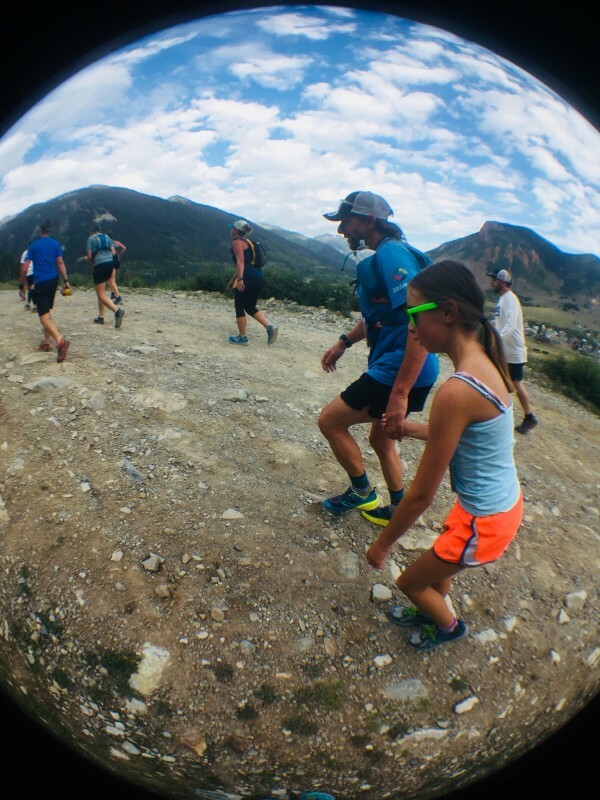 ilg carefully selected – after many years of TAF’ing – THIS VERY RACE at THIS VERY TIME in Dewa’s life to introduce Her to real Colorado, historic Trail Running Racing! stoked to report? feeble ilg NAILED IT! Dewa had a GREAT TIME and though She is STILL feeling her Course-Record Setting Effort in Her precious legs (which ilg massages each night)? y’all won’t believe just how much of a PRANIC STOKE this Sacred, Hallowed Race was for Dewa. SHE KILLED IT!!! RIGHT from the Pistol Blast start, She did EVERYTHING ilg asked of Her. we paced (often hand-in-precious hand) the first mile to the Real Climb. then? for the next 56-minutes? nothing but HIGH ALTITUDE, HIGH GRADIENT GRINDING following Her feeble yogi dad’s lead, and again holding hands when m(om)ents got tough. hit the Turn-Around at the 11k point (no, ilg would NEVER press upon Dewa the Half-Marathon Distance up this crazy steep, high mountain at age 10! )… (yet, ilg DID press this Full Race upon two of ilg’s treasured Adult Students, more on that later!). beyond ilg’s wildest dreams? D and ilg start descending the steep path downward to the town of Silverton. this path was fashioned in the 1800’s by burro’s and two-leggeds still struggle to follow their four-hooved, sure-footed path up the impossibly steep headwalls. to turn around and descend them at speed? Dewa had only a smile on Her face as Her and ol’ daddy danced we did down the downward slopes. Dewa managed a 5-second gap to 11th and a 15-second gap to 12th overall by HAMMERING the steep, techy downhill pitches and then, in a HUGE EFFORT managed to maintain Her built gap during the ENDLESS UPHILL MILE to the finish. Spiritual: HUGE SAMSKARIC EXUBERANCE within Her precious 17-trillion cells that will only catapult Her Atma toward Enlightenment at Amitabha Speed. • 2nd Place in 20 (yeah, TWENTY) and under! • Set Course Record in 12-and under by a landslide (both Male and Female). no award for Her noble efforts. Her sacred sweat even got Her feeble daddy to a 10th OA and 2nd AG which went unrecognized. at ilg’s Winter Warrior 10k Snowshoe Race? that would NEVER HAPPEN! ilg’s entry has been for nearly a decade, not $60 but $20-$25 and EVERY PARTICIPANT LEAVES with a prize or award worth at LEAST their Entry Fee.